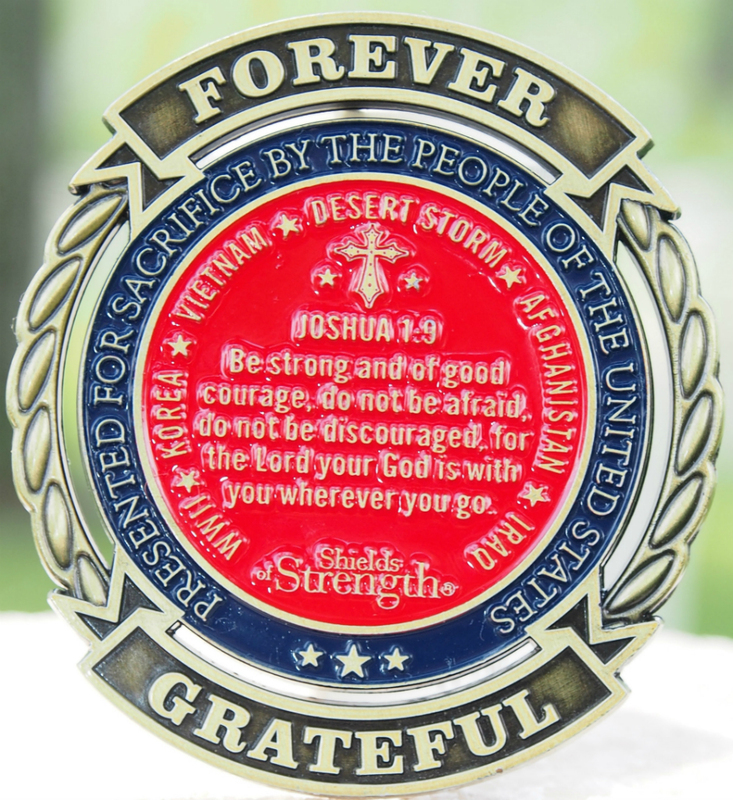 Build a bond with your community and spread the Word of God with beautifully crafted custom dog tags and coins. These fine accessories are perfect for police departments, fire departments, sports teams and youth organizations, as they are a wonderful way to unite friends and colleagues in God's light. Any piece of Shields of Strength Christian jewelry is a powerful tool, providing an attractive and thoughtful way to remind people how God works with them, and through them, in their daily lives. 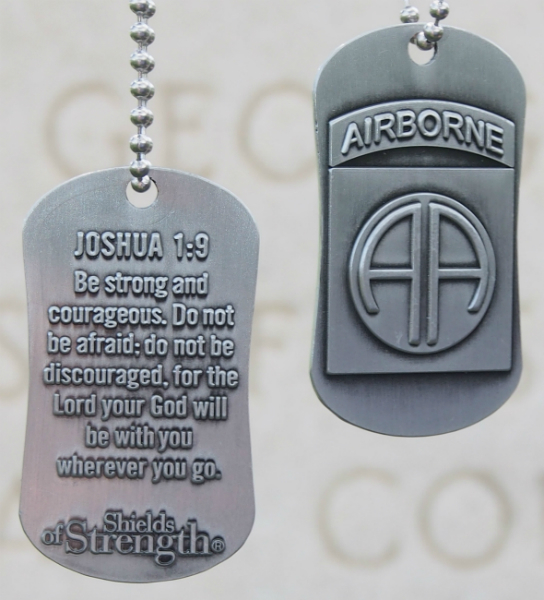 However, by working with the Shields of Strength team, it is possible to customize dog tags and coins that are so much more unique and personal. These are touching keepsakes that are sure to make the recipients feel loved and protected, and they are an important element in forging your community into a powerful force for good. Once the design is approved by the customer, a prototype is produced. The customer reviews the prototype. The customer approves the design or requests changes. This process continues until the prototype is approved. Once the prototype is approved, manufacturing begins. The manufacturing normally takes 6-8 weeks for completion. 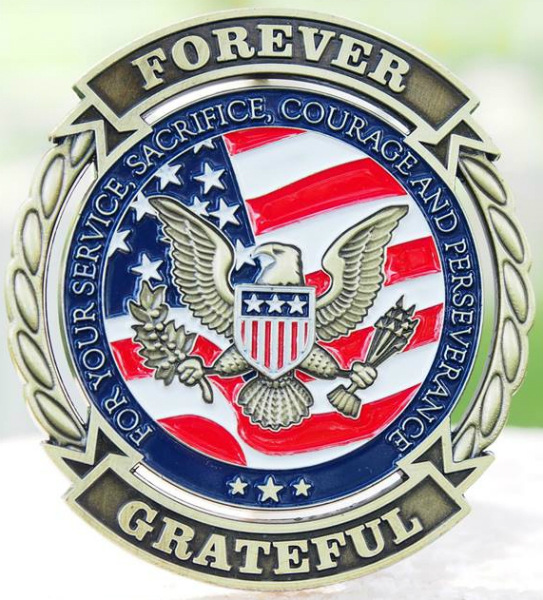 Normally, the minimum quantity for a custom dog tag or coin is 100 pieces. The minimum quantity is due to overhead costs associated with design and die (mold) fees.